Golf shoes with a training-inspired design. With a shape inspired by trainers, these men's golf shoes have a wider, lower forefoot for increased comfort and stability. Made with climacool®, the shoes have a breathable textile upper with internal reinforcements to provide the lateral support golfers need. 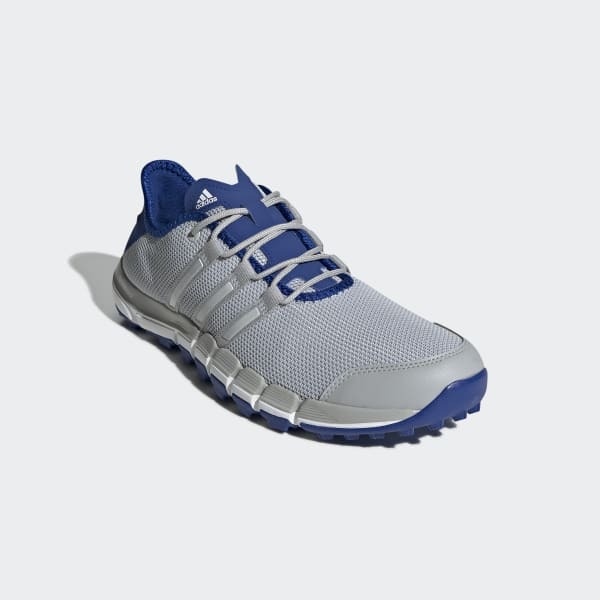 A versatile adiwear™ rubber outsole delivers traction on the course.